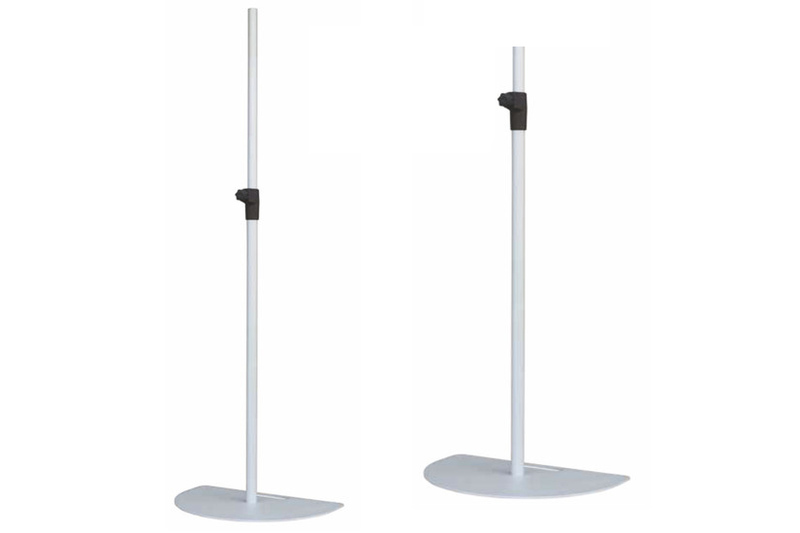 Elegant floor lamp with a telescopic element for GH/OMV radiant infrared heaters. Max. height from the floor to the junction 2632mm. Min. height from the floor to the junction 1522mm. Building consisting of a tubular iron alloy with a 40 mm diameter. Embossed epoxy powder coating. Plastic joint patented for telescopic support. Weighted and elegant base, laser cut with a loop for the transport. The colour is Optional White. Other colours are available upon request (with an increase of 30%).